rotation Orientation of the handle. handlesOnly Whether to omit the circular outline of the radius and only draw the point handles. float The new value modified by the user's interaction with the handle. If the user has not moved the handle, it will return the same value as you passed into the function. 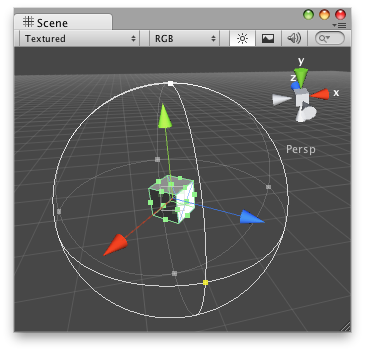 Make a Scene view radius handle. RadiusHandle on the Scene View. // Name this script "EffectRadiusEditor"
// Name this script "EffectRadius"